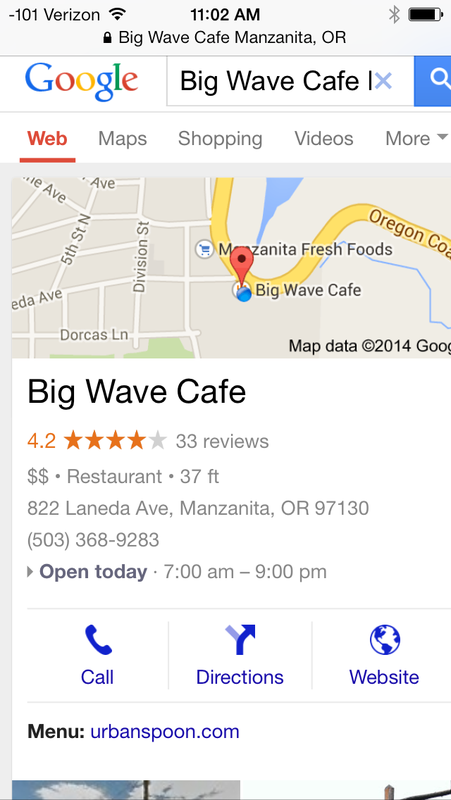 Outside of the 3-Pack, How Does Google Find Local Results? 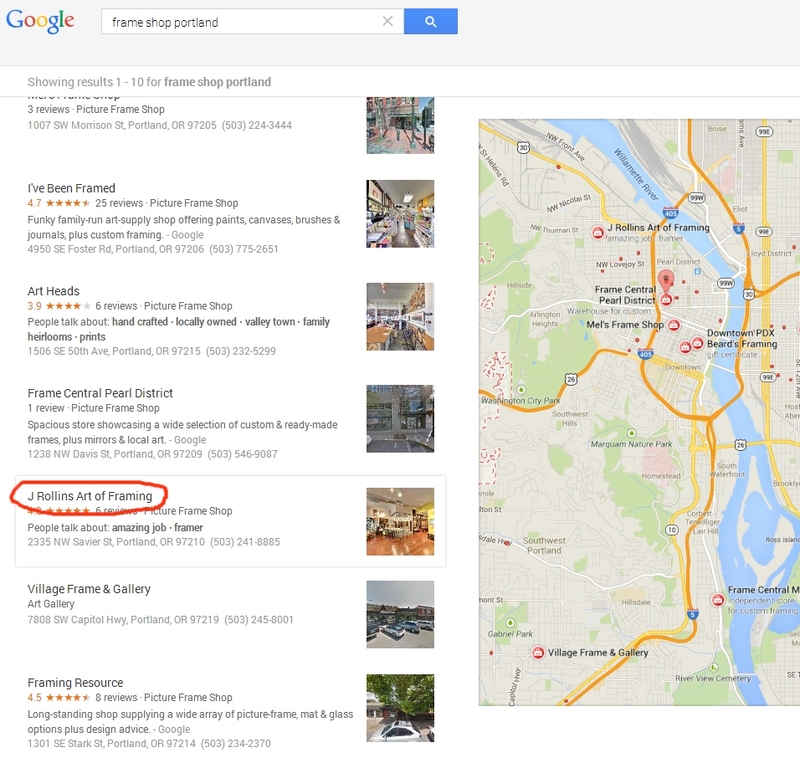 Here’s an interesting case of Google’s local organic algorithm failing to produce the right results, and it tells us a bunch about how they’re trying to produce those local results in the organic results outside of the 3-pack. 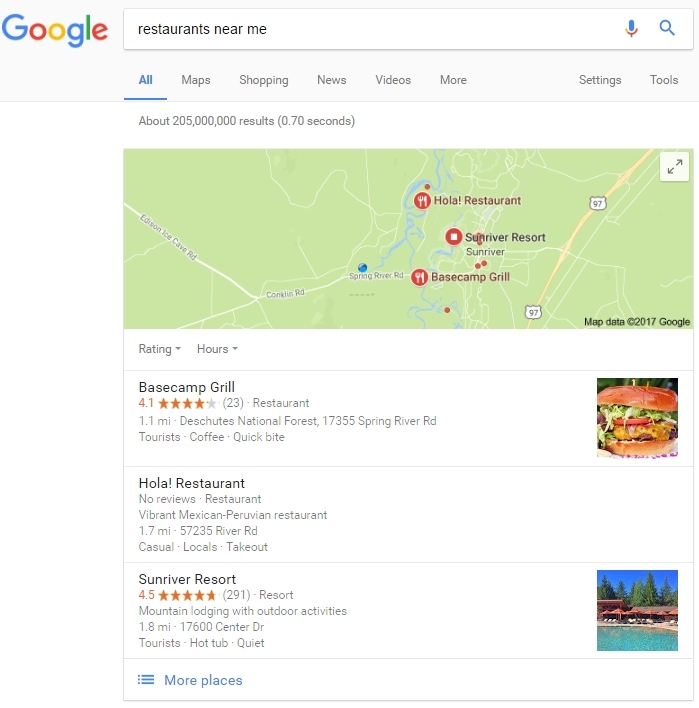 I’m sitting here near Sunriver, Oregon, and I search for “restaurants near me”. The 3-pack looks pretty good…it’s got the pushpin very accurately located for me (within yards, in fact, despite the fact that I’m on a PC connected via my cable internet provider, not my cellphone with GPS).